Hi there!! 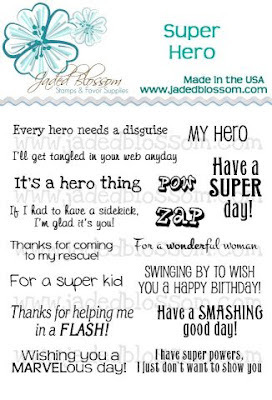 Welcome to the Jaded Blossom SUPERHERO Blog Hop!! If you arrived from Kate you are in the right spot! If you just happened to hop on by and want to start at the beginning click here! Wishing you a MARVELous day! Here is the amazing stamp set for you to see! 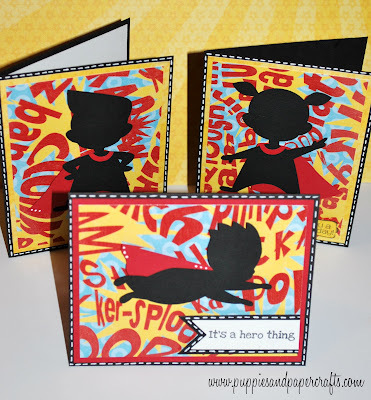 Prize: Jaded Blossom is giving away one of their new stamp sets "Super Hero" to one lucky person who comments on each of the DT blogs! **FREE SHIPPING ALERT** When you purchase "Super Hero" you get FREE SHIPPING on your entire order this weekend only! Place Super Hero in your cart along with any other goodies you wish to purchase, add coupon code "SUPERHERO" and you will get free shipping on your entire order!! But you MUST have the Super Hero stamp set in your cart for your order to qualify. This offer is good through Sunday at midnight. Your Next stop is Abby!! I love all of your projects. You did a wonderful job. I love the princess and the frog! SOOOOO cute! All of the them are so cute. Love the silhouettes. What super awesome cards! LOVE the new stamp set and your adorable creations!! Wow, they are all so cute. Pleassse tell me where you got the Princess & Frog silouette. Love it. I LOVE the silhouette cards! Great job! super cute !! love all the cards !! and the paper you chose for them tooo cute ! Ok this is a must have set! Amazing! Great peaks, but the card set....fabulous!!! 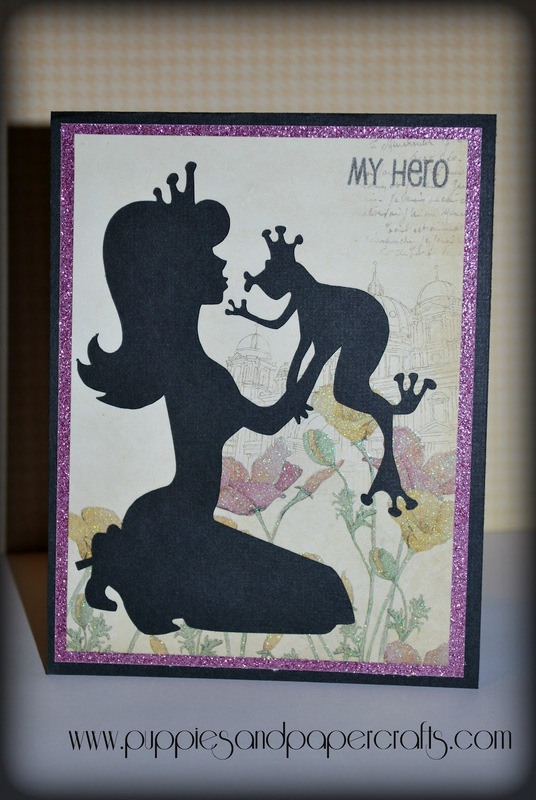 Fabulous realese week projects Kim, TFS love the kids card set. 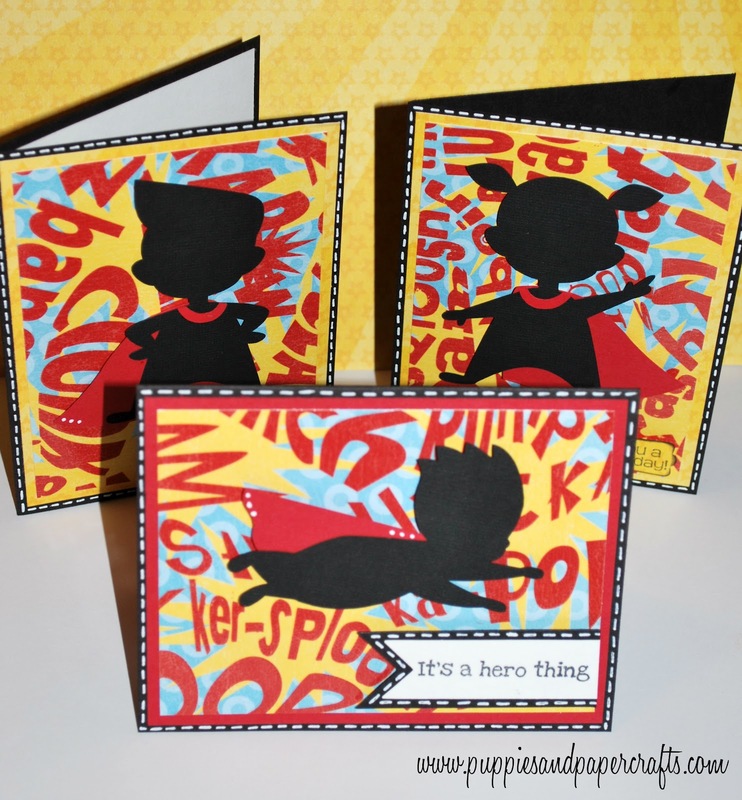 Love the super hero cards!!! They are perfect!! 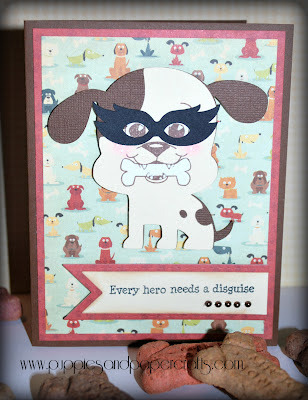 Your hero card is too cute too! The Card set is cute. But the Dogie CARD IS MY FAV. Super Adorable. I love your super hero cards!